JNTUH B.Pharmacy 2-2, 3-2, 4-2 Sem 1st Mid Exam Time Tables Feb 2019, Jntu Hyderabad Timetables for B.Pharmacy II-II, III-II & IV-II I-Midterm Exams Feb-2019. 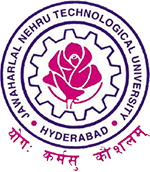 JNTU Hyderabad has announced B.Pharmacy 2-2, 3-2 and 4-2 Smester 1st mid examination time tables February 2019. Students can download their MID Term exam time tables from link given below. Plz postpone 2-2 exams sir..because we need sometime to prepare….